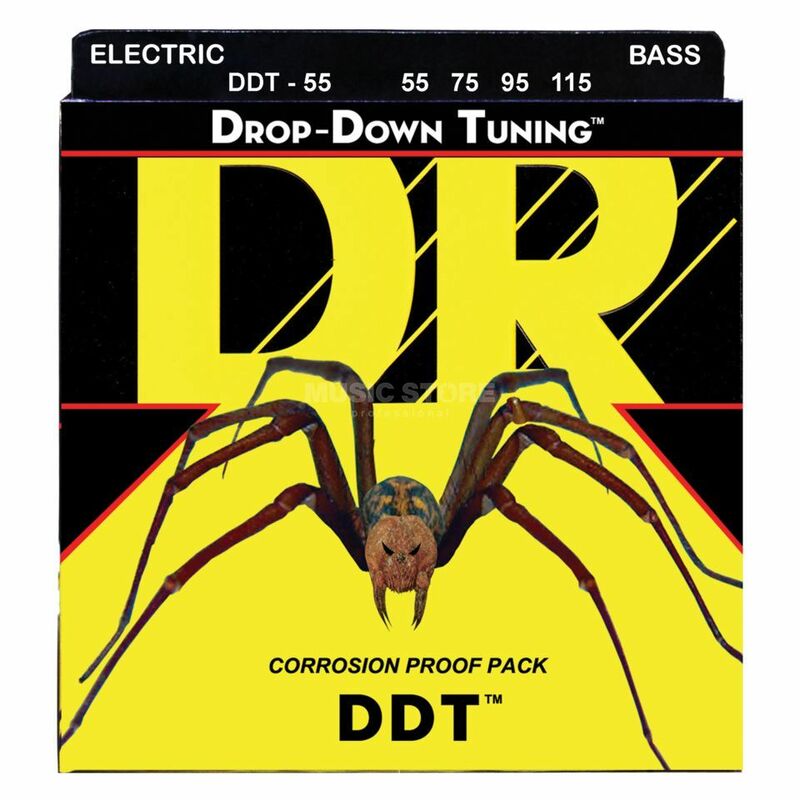 The DR DDT-55 Bass Guitar Strings is a set of 4-string bass guitar strings, for drop-down tuning, made with stainless steel, with a hexagonal core, heavier gauge, roundwound construction, and gauges of .055-.075-.095-.115. The notes at these lower registers are clean and clear and maintain excellent tuning stability. Designed specifically for drop tunings, DDTs maintain their intonation at lower tunings far better most other strings on the market. Designed over a two year build and test period to answer the needs of the dark side.